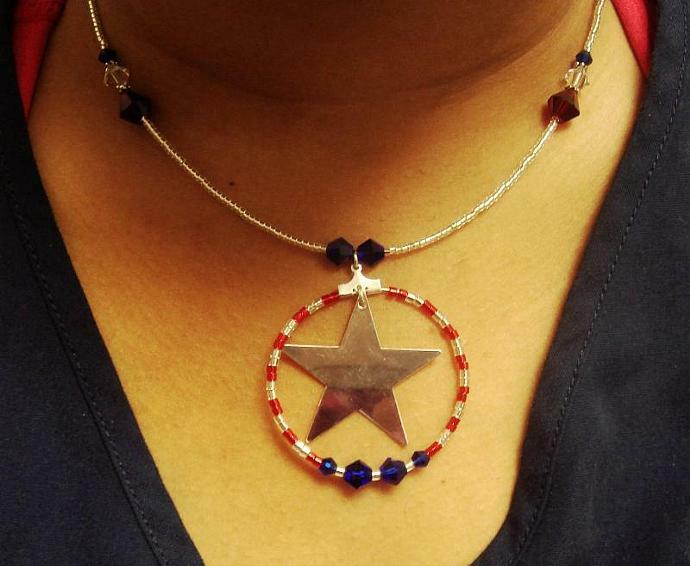 This necklace is great for someone who loves to show their red, white and blue spirit. Would be great to wear on Independence Day. 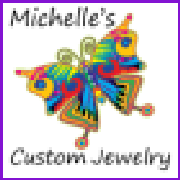 I made this necklace using crystals, glass and delica beads. The star is silver plated brass and is so shiny, you can see the reflection of the camera in it. I used an earring finding to make the pendant. It is almost 2 inches in diameter. 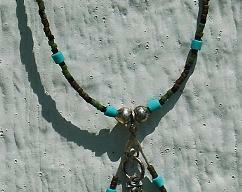 The necklace is about 19 1/2 inches long.